Not only that but they actually included 2 links to video distributors whom sell public domain films but of the many titles they sell some of them are not in the public domain. 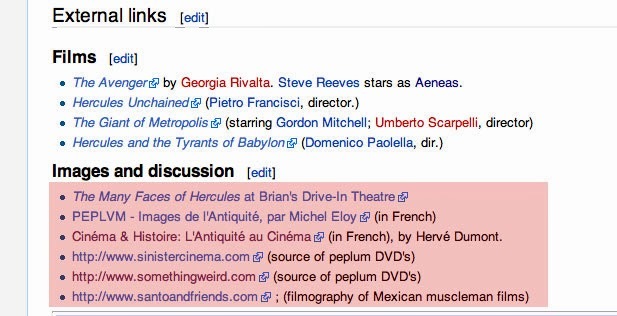 I don't know if it's still up but there used to be a discussion page connected to the Peplum/Sword and Sandal entry on Wikipedia. I tried joining in but after having my years of research dismissed by the person running it who 'just felt' his opinion was better, and there for the truth, I gave up. Didn't want facts getting in the way of their posturing, I guess.